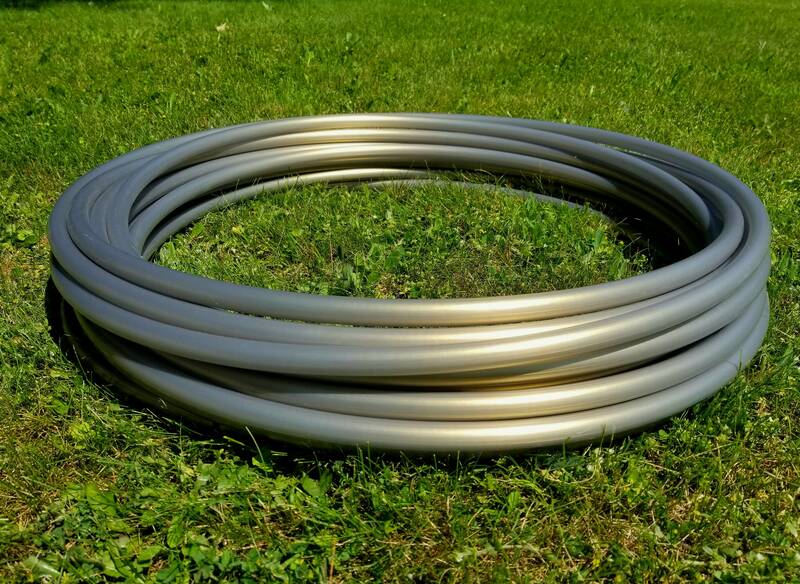 UFO Colorshifting Polypro Hula Hoop OD Sizes (25"-36") or Mini(s) (18"-24"). Polypro is a light weight plastic that is super reactive to touch making this the perfect hoop for fast light weight trick hooping. Push pin look makes this hoop easy to coil down for travel. Selecting Twin in the drop down menu means two hoops the same size. ♥ Choice of bare, sanded, full sand, or colored grip on inside rim, clear grip a super strong grip can be added with extra fee. ♥ Mini sizes 18”-24” riveted shut or push pin closer for extra fee. •Need your order fast. rush order may be purchased for an additional fee. Rush guarantees to ship within 48 hours of purchase. •Make traveling with you hoop safely easier with double sizes reusable velcro straps. • Make your hoop a 4 piece collapsible with this add on. • Add Hoop Wax to your order works great on bare or sanded hoops. Add extra grip that works great for leg hooping. * If a grip if selected as a finish and tape color is not in the sellers note on a hoop requesting grip tape, the builder will select the best match. Grip Tape: Grip is a clothe taped lined on the inside of the hoop comes in 1/4" and 1/2" Works best for beginners to advanced, has strong grip, adds more color to the hoop. Sanding: Sand paper is used to scuff the inside of the hoop. Works best for intermediate to advanced hoopers. Allows for easy slide of hand and is permanent to the hoop and virtually unnoticeable. Sanding is done along the inside rim of the hoop or you may choose to have the full hoop sanded. 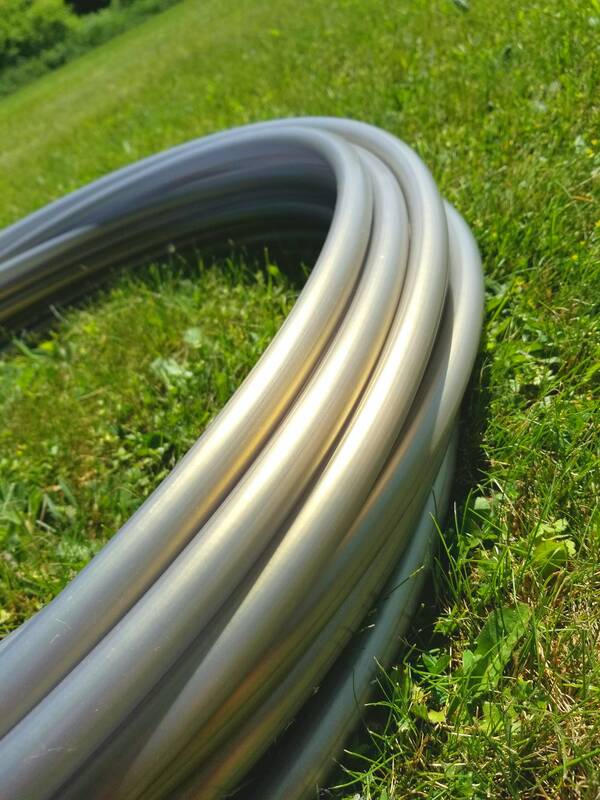 Selecting full sand on metallic, iridescent or color shifting tubing may dull shimmer slightly. -Always allow hoop to warm to room temperature before un-coiling. -Upon unpacking or uncoiling hoop allow it to breath and open in a warm area. -Hoop should lye flat on the ground when it has regained shape. - Don't be afraid to play with a hoop as long as it is room temperature, playing with a hoop will allow the hoop to regain shape. -Never leave hoop coiled in a hot area such as a car. Store in car during hot months fully open and connected. ✔ Most hoops are shipped Priority 1-3 day though USPS, excludes multiple and adult hoops. * If your hoop(s) do not shape up within 72 hours after arrival, please send photograph or video link. Solution or replacement will be discussed on a case by case biases. Contacting Pop Lock and Hoop It later than 72 hours after arrival will be considered on a case by case biases, please be aware that Pop Lock and Hoop It can not be held responsible for customers who do not contact us within 72 hours. 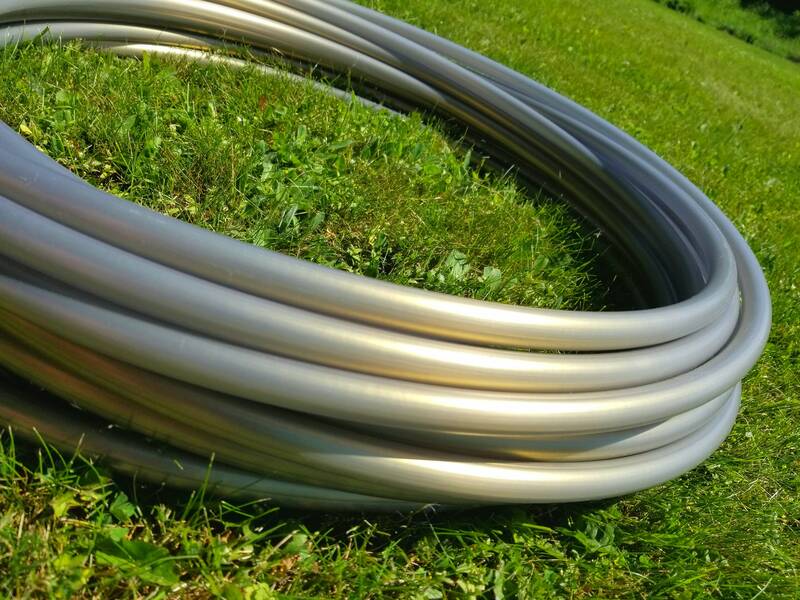 Contacting us 7 days after arrival of the hoop completely voids guarantee. **Packages deemed lost or damaged by the post office are replaced as soon as the post office has marked items lost or damaged. Hoops that arrive damaged are replaced immediately. If your hoop arrives damaged but is not marked as damaged by the USPS or FedEx please take a photograph of the damaged hoop within 72 hours of receiving the package. Colors may very due to monitor settings. Colors may very slightly due to batch variation.